Are you looking to demonstrate more value to customers or employers? By using today’s hottest social media platforms you are able to build the powerful personal brand that gets you what you want. 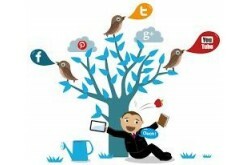 In this class we will help you use social media to attract new business and grow your readership. From Facebook to Pinterest to video sharing, this class will teach you the techniques and ideas that are practical, easy, and effective for your brand. As a new photographer you’ve got to start somewhere and our Create Stunning Digital Photographs course is great place to start! 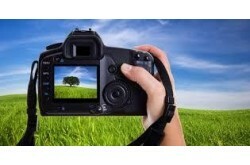 The goal of this fun and informative course is to provide you with an introduction to digital photography and get you started on the path to becoming a great photographer. You’ll begin by learning the fundamentals of digital photography including composition, lighting, exposure and using your camera’s manual mode. Next the course will focus on teaching you the basics of contemporary portrait photography including how to pose your subject and working with children and pets. We will also cover photographing the great outdoors including animals, natural and man-made landscapes, as well as wedding and event photography and night shooting. Earning your Certificate in Green Wedding Planning gives you the knowledge and resources to help couples make eco-friendly choices throughout the planning process. The LWPI Green Wedding Planning course teaches the planner everything needed to help clients make the decisions that lead to a better world for all of us. Understanding how to take a great photo is just part of the photography equation. Going to the drugstore and getting photos printed is becoming less of a common practice. In order to get the most from your efforts as a photographer, you need to learn how to finish the photo by using software tools like Adobe Photoshop Elements 2018. In our Learn Photoshop Elements 2018 course you will learn image processing as a three-step process: importing and organization, basic and advanced edits, and printing and sharing. Please Note: Adobe Photoshop is not included with this course. Understanding how to take a great photo is just part of the photography equation. Going to the drugstore and getting photos printed is becoming less of a common practice. In order to get the most from your efforts as a photographer, you need to learn how to finish the photo by using software tools like Adobe Photoshop Elements 2019. In our Learn Photoshop Elements 2019 course, offered by our accredited school partners, you will learn image processing as a three-step process: importing and organization, basic and advanced edits, and printing and sharing. Please Note: Adobe Photoshop is not included with this course. Social media has created an opportunity for businesses everywhere to promote and grow with just a simple push of a button. Whether you consider yourself a social media novice or a seasoned veteran, this class will give you a solid foundation and understanding of what social media is and how you can use it to grow your business. You'll learn about the most popular social media platforms—Facebook, Twitter, LinkedIn, Pinterest, and Google+—and study secrets for using them to promote your business. And finally, you'll gain techniques for measuring and tracking your social media success.